If you receive merchandise from a commercial carrier (UPS, Federal Express, or other commercial carrier) that shows damage, then NOTE THE DAMAGE ON THE FREIGHT BILL, and contact 1st-in-scanners.com immediately. If upon opening a shipping carton, you discover concealed damages, then contact 1st-in-scanners.com AND THE CARRIER immediately to arrange for inspection by the CARRIER. YOU MUST NOTIFY 1st-in-scanners.com AND THE CARRIER WITHIN 10 DAYS AFTER DELIVERY. The carrier that delivered the merchandise MUST inspect the merchandise prior to it’s return. It is the customers’ responsibility to arrange for inspection by the carrier. You must make the shipment available for inspection by the carrier. Claims received after 10 days beyond delivery will not be accepted. If inspection of the shipment indicates damage, 1st-in-scanners.com may assist in arranging for repairs or replacement of the damaged goods consistent with the findings of the carrier and the policies of the manufacturer and/or distributor. DOA products (Dead on Arrival) may be returned within 15 days from the date of invoice, subject to manufacturer restrictions, and to 1st-in-scanners.com return procedures listed below. All returns are subject to the terms and conditions as set forth by the manufacturers. 1st-in-scanners.com cannot authorize any return shipments. Customer agrees to contact the manufacturer for technical support and requests for case number. Hardware product may be returned within 30 days from the date of receipt if an RMA number is approved and given by the manufacturer. See Basic Return Procedures and Repacking and Return Shipping below. If the customer refuses return shipment, customer agrees to waive any right, title or claims whatsoever to the merchandise, any refunds or charges and to hold 1st-in-scanners.com harmless in any and all matters relating to the merchandise. 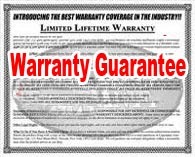 Products that fail after use must be handled under the Manufacturer’s Warranty Program. Customer agrees to contact the Manufacturer to arrange for the handling of all warranty issues and accept all responsibility for any costs incurred as a result of this process. 1st-in-scanners.com cannot authorize any return shipments. Customer agrees to contact the manufacturer for technical support and requests for case number. Hardware product may be returned within 30 days from the date of receipt if an RMA number is approved and given by the manufacturer. Manufacturers will not accept the return of any Special Order items, or units ordered in multiples, except for DOA items and general manufacture’s warranty terms. Hardware Products that are not-defective, special order, damaged in shipment or DOA. 1st-in-scanners.com has a 10 day general grace period and return policy. This 10 day grace period starts from the invoice date, and is good for any hardware unit purchased under $5,000.00. Prior to shipping any hardware products back, 1st-in-scanners.com must be notified within the 10 day grace period. Units returned must be in it’s original packaging, in new condition, with all manuals, accessories, etc. included. Incomplete items will be sent back to the customer at the customer’s expense. All non-defective returns are subject to a 20% restocking fee. The packaged box must be sent back to 1st-in-scanners.com with a carrier that can provide a tracking number. 1st-in-scanners.com will not be responsible for any damage or lost boxes during shipping. Customer is responsible to place adequate insurance on the return shipments. Specifications are those of the manufacturer are subject to change by the manufacturer. 1st-in-scanners.com makes every effort to maintain the accuracy of the specifications as shown on the web site, however, a manufacturer may make changes without notifying us. 1st-in-scanners.com is not responsible for product compatibility and Customer Agrees that any product compatibility problems will be subject to Manufacturer’s Return Policies. Opened or tampered software products are non-returnable. Please refer to the manufacturer for repair or replacement. 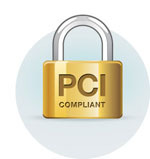 All RMA’s are issued by the Manufacturer and must be pre-approved. Customer MUST contact the manufacturer directly to obtain support and allow manufacturer to determine if there are any problems with the equipment. No Return authorization can be issued without Manufacturer pre-approval. You may contact 1st-in-scanners.com for the proper manufacturer phone numbers and we will be happy to assist you. Please have the following information on hand when calling in regard to an RMA number: Customer Name, Invoice Number, Serial Number, nature of the problem and Manufacturer support case number. Returns received without a valid RMA number will not be accepted for delivery. Original shipping and any related delivery charges are not refunded on returned items. The RMA number is valid for 10 calendar days, which means the package must be received at the return address within 10 calendar days of the RMA issue date. Returns received beyond 10 calendar days may be subject to a $50 late fee and 1st-in-scanners.com reserves the right to refuse the merchandise and return it to the customer at the customers’ expense. The RMA number must be prominently displayed on the outside of the package being returned. The original packaging must be appropriately packaged inside another box to protect the original package from damage. Do Not Deface the original manufacturers’ box by applying labels or writing directly upon the surfaces of the original container. You may be subject to additional fees if you fail to properly repackage and ship the merchandise. The return merchandise must contain 100% of original contents (i.e., manuals, disks, accessories, blank warranty or registration cards, and any other documents provided by the manufacturer). Products that fail to meet these requirements will be returned to the customer at the customer’s expense. The parties expressly stipulate that any controversy whatsoever arising under or in connection with this transaction shall be summated and determined pursuant to the terms and conditions as set forth on our Terms & Conditions Page and the policies of the manufacturer. 1st-in-scanners.com reserves the right to modify their policies and terms and conditions at any time without notice. Visitors and users of this site are advised to check this page frequently for any changes and updates that may occur.